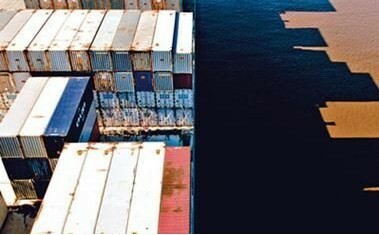 Lastest Container Trades Statistics figures show container volumns from Asia to Europe continued to surge ahead of last year's level in July, jumping by almost 9% year on year. However, it should also be noted that in the second half of last year 2012, volumes declined rapidly compared with 2011, so we could say there was no noticeable peak season. As a result, July 2013's volumes on the Asia-Europe trade lane are actually 5% lower than the volumes handled during the same month in 2011, even though they are ahead of July last year.